Updated August 2017 to reflect name change to The North Face Valley to Peak Race. Jeff Pelletier is a Vancouver-based trail and ultra runner, a member of Team Salomon Canada and a Sponsored CLIF Bar Ambassador. Follow his adventures on Instagram and on his website. If you’re like me, you spend your days dreaming of pristine single track, alpine meadows, and mountain views, something that Whistler, BC offers in abundance. I’ll take any chance I can get to go trail running in the area, so I was excited to run in last year’s inaugural Salomon Valley to Peak Race (known as The North Face Valley to Peak Race in 2017). 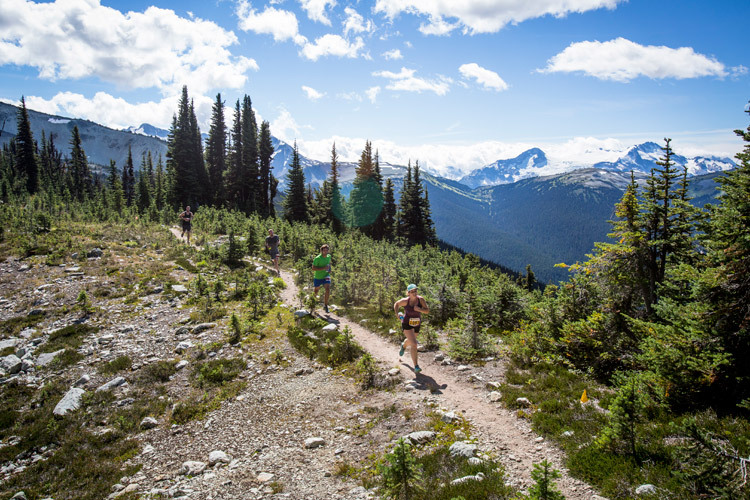 The race gives runners a chance to tackle the full vertical mile climb from valley floor to the top of Whistler Mountain while enjoying some of the best singletrack around. Team Salomon, winning relay team from 2015. Althetes from left to right: Yann Joseph, Jeff Pelletier, and Brandon Chrichton. 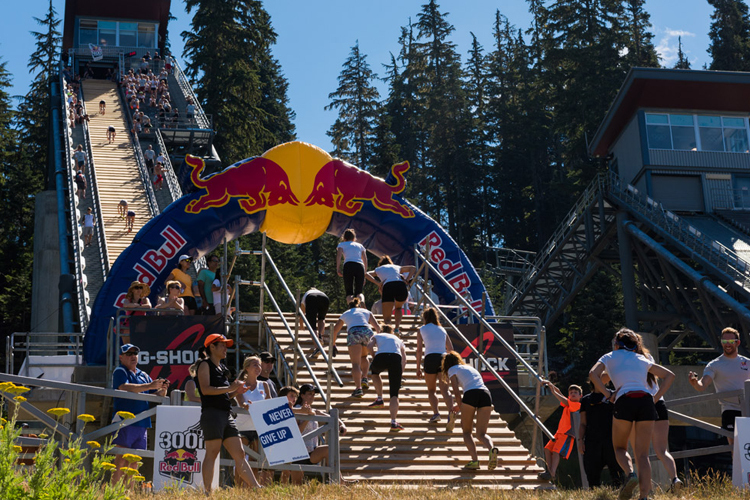 The course begins at the Salomon store in Whistler Village and climbs through the Whistler Mountain Bike Park, following the iconic High Note Trail to the Top Of the World Summit at the Peak of Whistler Mountain. New this year, the final stage of the race will lead runners down a quad-pounding decent to the finish at the Roundhouse Lodge. Unless you’re okay with a little fluid on the lungs, try not to push too hard early on in the race. If you’re running the race solo, remember that you’ve got a lot of climbing ahead of you so relax until you feel you’ve settled into a bit of a groove. You’re sure to reel in some of the runners later on in the race who went out a little too hard, which I managed to do last year as I approached the first aid station and the start of the second leg. It makes sense to warm-up before any hard effort like a track workout, doing some short sprints to wake up the fast twitch muscles and get the blood flowing. Running straight up a mountain can be just as much of a shock to your system, so be sure to warm up in advance. Since I was running the first leg of the relay last year, I arrived early to jog the first couple KM’s of the course to get a sense of the course flagging. Just don’t miss the pre-race briefing like I almost did! Left: Incredible views across Whistler in the 2015 Salomon Valley to Peak Race. Right: High Note Trail, part of the race course. Athlete: Aran Seaman. JEFF PELLETIER PHOTOS. A dirty little secret that us trail runners all share is that we spend a fair amount of our time ‘power hiking’ the hills. It’s not the same as regular walking though, and it’s a skill that needs to be practiced to be mastered. Power hiking is all about power and stride. Try ‘striding out’, taking nice long steps, keeping your back straight while swinging your arms for added power. I like to push off my knees with my hands when the hills get really steep, but be careful not to bend your back too much or to collapse your chest. Transition back into a run as you crest the top of a hill, trusting that your body will recover as the terrain flattens or begins to drop. With a little practice, you’ll be passing other racers like they’re standing still. There’s no better time to put your power hiking skills to the test than when climbing a vertical mile into the sky! Some of the terrain in this race is quite technical, meaning there are roots, loose rocks, and twisty single track. I find that taking shorter, quicker steps helps me to respond more easily to this type of unpredictable footing, and it’s easier to recover if you do happen to trip when not at a fully extended stride. It’s much more efficient to ‘float’ over technical terrain than to lunge around it. 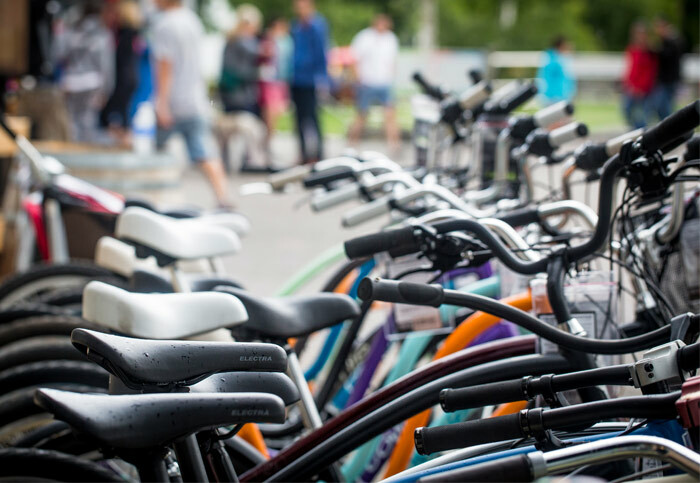 Mountain bikers and trail runners alike will often refer to trail vision, where over time you can develop the ability to look further ahead on a trail instead of directly in front of you, trusting that your feet will guide you. The further down the trail that you can look, the faster you’ll be able to run. Left: Athletes run through the alpine meadows. 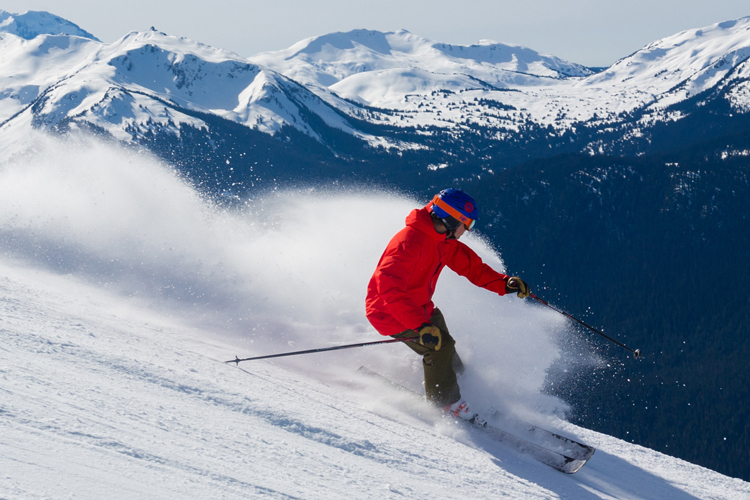 Right: Finish line on Whistler Peak. JEFF PELLETIER PHOTOS. One of the benefits of doing the relay was being able to run the rest of the course to the finish line without the stress of racing. The views get better and better as you climb, so you may want to occasionally stop to take a look around and maybe even take a few photos. Most of all, remember to have fun! One of the benefits to the finish line having been moved to the Roundhouse is that it happens to be where the awards ceremony and after party are. Salomon always has great prizing, and after a run like that, you’ve earned yourself a burger and a hoppy beverage. 1. Pay attention! 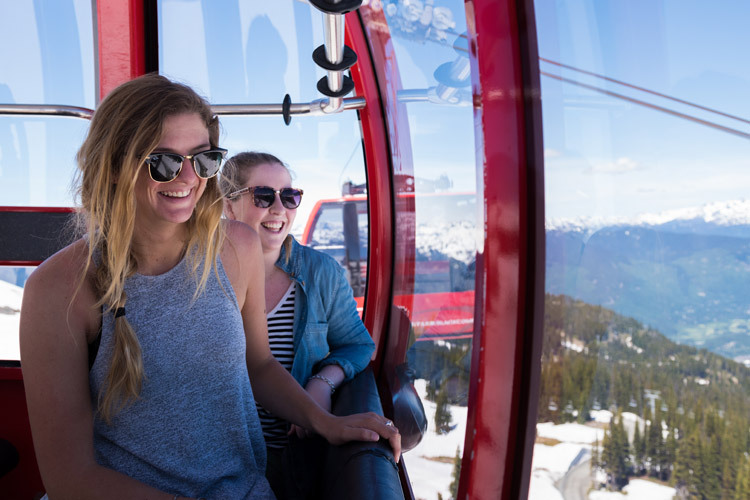 The Whistler alpine is incredibly beautiful, but if you spend too much time looking around you’re likely to take a dive as the terrain can be quite technical. 2. Wear appropriate footwear. Road shoes won’t cut it! This should go without saying, but I saw a few people wearing them in last year’s race. I’d recommend something with fairly aggressive tread, like the Salomon Speedcross or Sense Ultra SG. 3. Prepare for changes in the weather. Weather systems can come and go quite quickly in the alpine, so be sure to wear sun tan lotion even if it’s cloudy and to bring an extra layer of clothing even if it looks like sun. You never know what you’ll get at higher elevations later in the day. Serious terrain calls for serious gear. 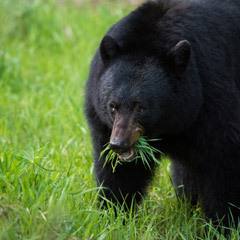 JEFF PELLETIER PHOTOS. Happy trails! For more information on running and fitness events in Whistler plus all the other great events happening in fall this year be sure to visit whistler.com. 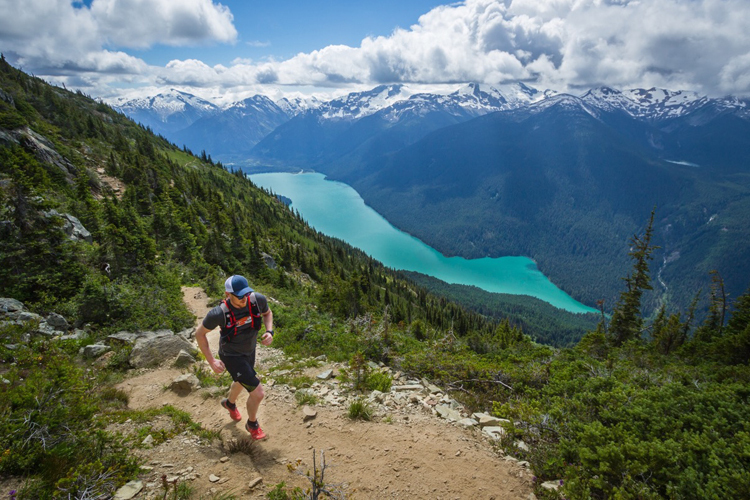 Trail running can take you to amazing places – check out Jeff’s trail running highlights from 2014 including footage shot in Whistler’s alpine.